#215. Explore the double negative. 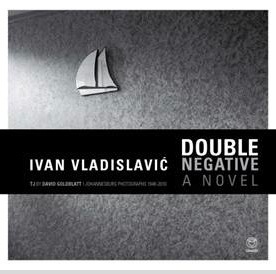 I spent last Saturday at the Goodman Gallery listening to Ivan Vladislavic and David Goldblatt in conversation about their limited double edition [TJ and Double Negative] with the delightful Marlene van Niekerk [author of the award-winning Triomf and Agaat] who had been coaxed from Stellenbosch to speak with the “masters of Joburg”. Both of whom, in her words, have a commitment to the “the reductive mysteries of things as they are”. Warm, full of wit and nuance, the conversation took some interesting turns as she tried to draw out the usually taciturn writer and photographer. Van Niekerk has the look of a kindly aunt, and there’s a hint of mischief in her unruly hairstyle and her humour. Like two parts of a whole Vladislavic is as visual a writer – in van Niekerk’s words “space is a super character in his books” as one gets, while Goldblatt is what I would call a literary photographer. Their strengths well-matched, they write/photograph the signs leaving them to be deciphered. I loved the idea mentioned there of “their work escaping its intentions”. David Goldblatt’s raison d’etre resonated. “My understanding of what excites me… the existence of things, the fact that something is. The is-ness – not the idea of things but the existence of things.” I liked Vladislavic’s grappling with having to write an accompaniment to Goldblatt’s photographs “You don’t want to be a caption”, so instead of producing commentary he produced a novel response. “I like to interrupt smooth progressions,” he said. 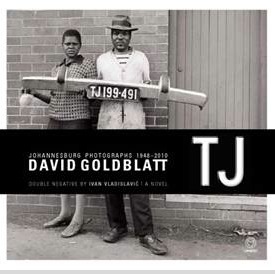 In all it looks like a magical work and the exhibition of Goldblatt’s photographs at the gallery provides compelling reason to interrupt the smooth progression of one’s day. One that had me transfixed was the photograph of “UFO a sculpture from scrap by Leslie Goldman, Fairwood” May 1975. As a child I was awed by the house on Goodman Terrace at the bottom of Sylvia Pass where Leslie Goldman would create magical sculptures out of household objects. They towered over his garden wall much to our amazement. This was South Africa in the 70s, a place utterly devoid of magic. For years I have driven past that house hoping to see a stray bicycle wheel or a washing machine rising over the garden wall – a domestic totem pole of sorts. I learned on Saturday from David Goldblatt that his neighbours didn’t share his artistic tastes and eventually compelled him to stop. He told me he died a few years later. This entry was posted in art, books, gallery, Johannesburg, photography and tagged Art South Africa, Boekehuis, Bronwyn Law-Viljoen, David-Goldblatt, Double Negative, Goodman-Gallery, Ivan-Vladislavic, joburg, Johannesburg, Leslie Goldman, Marlene van Niekerk, Melville, novel, photography, South Africa, Sylvia Pass, TJ, Umuzi by lauricetb. Bookmark the permalink. I dig the black and white look in the pics.